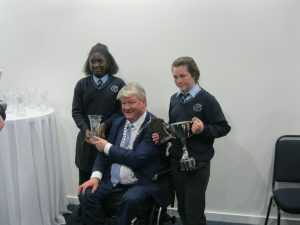 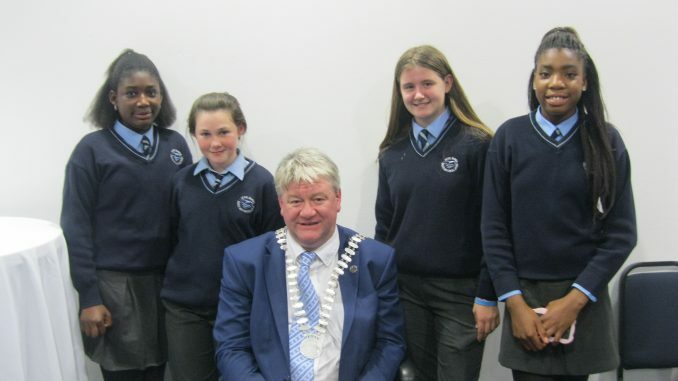 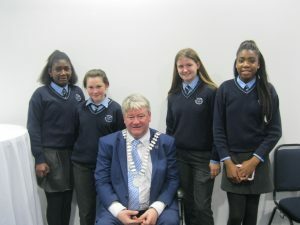 On Wednesday 5th of December our girls’ football were honoured by the County Mayor of Cork for their endeavours on the footballing field. 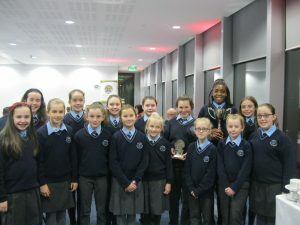 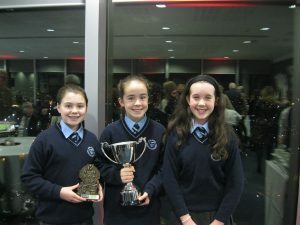 The team received an honour at the Mayor’s reception for winning this year’s Sciath na Scól final. 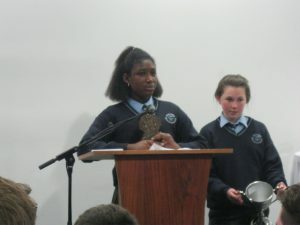 Our captain and vice-captain accepted the award on behalf of the team. 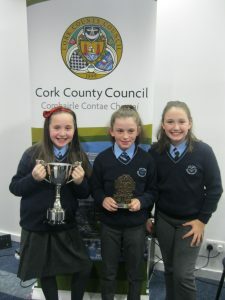 It was an honour for the team to attend this event and receive this award and we would like to thank the County Hall and the Mayor’s office for this experience.